consolidate the oldest of bonds, one between man and nature. between different paths: tradition and innovation, the future and sustainability. the visit is dedicated to groups of at least 20 people. It takes about an hour, along the winemaking process and the value of human capital that over the years has been generated. It takes about an hour and a half, sums up the wine production process through the important phases of wine making, the refinement and the sustainable cycle of San Salvador. The visit ends with a tasting of one or more wine if required. our visitors can stay at the savoy beach hotel to discover the tastes and the most charming places of the Cilento. 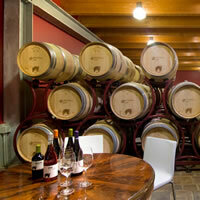 tastings and the “typical traditional” lunch will be served at La Dispensa di San Salvatore, in Cafasso, Capaccio.